The Macramé Conference: Our Christmas carol appeared in the Liverpool Echo! 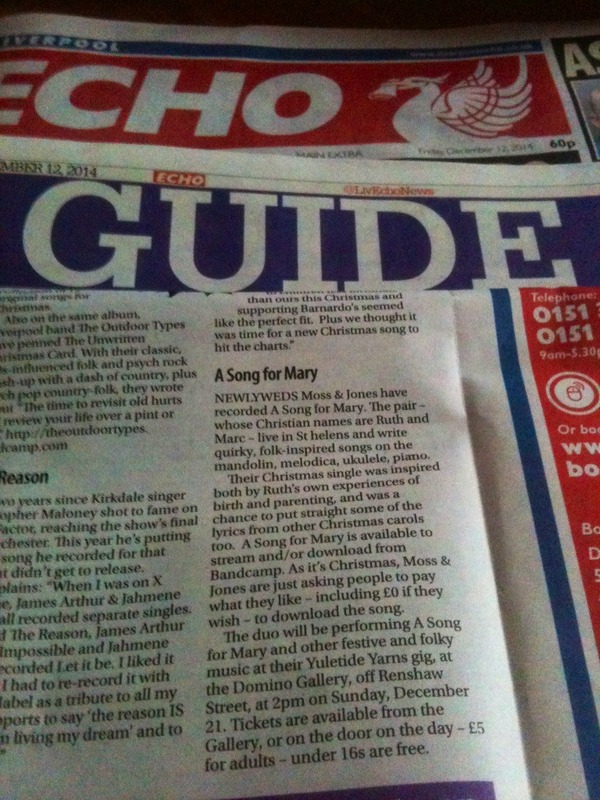 Our Christmas carol appeared in the Liverpool Echo! Our original Christmas carol, A Song for Mary, appeared in Friday’s Liverpool Echo as part of a feature by music writer Jade Wright on Christmas songs by Liverpool/Merseyside artists! To say we are chuffed is an understatement! If you’d like to download our original carol, as featured in the Liverpool Echo and played on BBC Radio Merseyside, you can do so on bandcamp… and you don’t even have to pay (though you can if you like/can afford)! Are YOU mentioned in our review of the year?